Talented photographer and videographer Ben Armstrong is quickly making a name for himself in the industry. 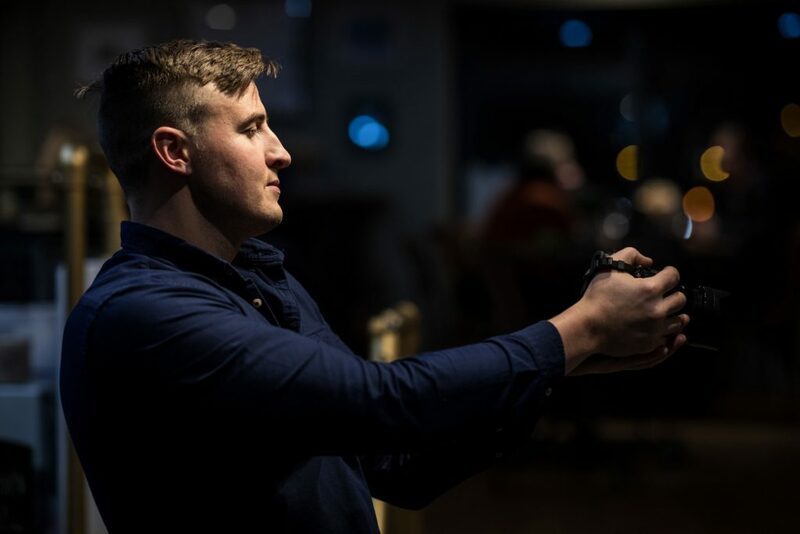 Capturing the emotion of events, businesses and people, Ben believes that video is a marketing tool that every business can’t afford to ignore. Gower Life chatted to Ben to find out more about his passion for the moving image. How long have you been interested in photography and videography? I have been interested in film and photography most of my life. As a youngster, I use to watch a lot of films and wish I could one day make something that people could watch that would either make them laugh or smile. It’s all about the emotion. I really enjoy capturing moments that make people smile or refresh their memory from a time in their life. That’s where my passion lies – being able to meet lots of new people on my journey is an added bonus. What do you think makes your work stand out above others? When I’m working with businesses, I aim to put them at ease so the essence of the business shines through. I think when you watch one of my videos there is a certain style or energy to my work. It means a lot to me to capture a venue or event correctly so that it ends up either being a wonderful memory for someone, or a superb marketing tool. I like to work closely with the customer to capture their hard work in a fun and energetic way. The budget starts with the time taken filming – then I put the clips together. This is called the editing process. From there I add the music that sometimes needs to be licensed depending on what the client wants. Event coverage with music ranges from £395.00 – £1,500 depending on the length of the shoot, music and editing time. Weddings are usually a full day of filming, with lots of footage to go through. Sometimes I’ll have two people filming (one with the girls and one with the boys). Given the nature of this ‘once in a lifetime’ occasion, we tend to spend more time capturing as many precious moments as possible, so this is reflected in the price. Prices start at £1,500 depending on the length of film. I’ve also been asked to travel abroad to cover weddings which I’m happy to do. I have been very lucky in my career as a videographer to be asked to work for magazines, holiday companies, charities and corporate events such as The Brogue Trader and Maserati. I recently covered Penarth Fashion Week and really enjoyed working with the RNLI on the project. Please follow the link below to see the quality of Ben’s work goodlifeproductions.co.uk.